You have created a superb product. No doubt it will serve the needs of the customer well but it still needs to reach the customer and it must reach him/her in top condition until it is time to use it. This is the primary function of packaging: To keep the product safe and intact until it is time for the customer to use it. However, it is just one of the functions that packaging serves. An effective packing should do a lot more than just keep the product safe. Packaging design plays the following roles to name a few. Packaging should be able to protect your product and keep it safe right from the point of manufacturing, throughout the transit, to your customer’s premises until he is ready to use the product. Packaging should be able to attract your potential customers into purchasing your product. The customer should be enticed to pick your product amongst the available options. The packaging should tell what is being offered and exactly what’s inside. Any information that will help the customer to make his purchase decision should be displayed clearly on the packaging. The packaging should be unique amongst the comparable or similar products. It should be easily differentiable from the other competitive products. The packaging should make the decision-making process of the customer easier and simple. The customer should be able to identify your product quickly and easily. If you are launching a new product, then the name, brand, description and other vital information should be easy to read and help in attracting customers. You need to attract customers. For that your packaging design should be different from your competitors. Scour the market and see how your competitor is packing its products. Figure out what innovation can you use in your packaging. The shape, colour, texture, anything can be used to differentiate your packaging from your competitor’s packaging. Show that you mean business when it comes to caring for your product. Good quality material conveys a premium image. It says that the product is so good that it deserves high quality packing. Besides this, a high quality material ensures that your product is not spoilt during transit or storage. Will it be better in a bottle or a plastic pouch? Hardcover or soft cover? Think from customer’s perspective. What would be easy for him. For example, if it’s ketchup that you are selling, should it be in glass bottle or plastic squeeze bottle? Remember Harpic? The nozzle design helps in reaching under the bowl’s rim. That’s a great design. But do not exaggerate. Never overstate the abilities of your product. If the product does not meet it stated capabilities, it will not only turn away existing customers, but will also turn away future customers. Just state the facts and promise the attainable results. If your product is good the word of mouth publicity will do its work and increase your sales. The text on the packaging design should be large enough to be read clearly. It should be printed in contrast so that it’s easy on the eye. Choose the font, size, colour wisely. These not only help pass the information, but can be used to build a brand image. For food and medical products, the ingredients and expiry dates should be very easily locatable and clearly readable. If your product is packaged in a transparent packing and the product itself is carrying this information, the make sure the product is oriented properly so that the information in clearly visible. Packaging design is the first touchpoint your customer has with your product or your brand. While its primary purpose is to protect the main product, it is also a great medium of marketing. 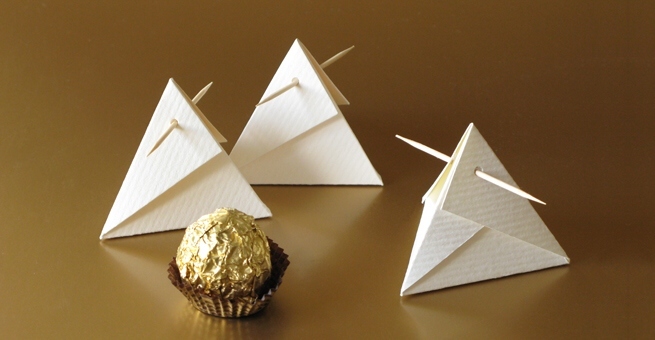 There is no reason why you can’t be creative and entice the customer with your packaging. You just need to be creative and know what your customers like to see.